The Home and Search tabs allow you to search across all data collections in Ancestry Library Edition, including the military records. Locate and click on "Military" on the Search tab drop-down menu to use search fields specific to these records and narrow your search to only these types of records. 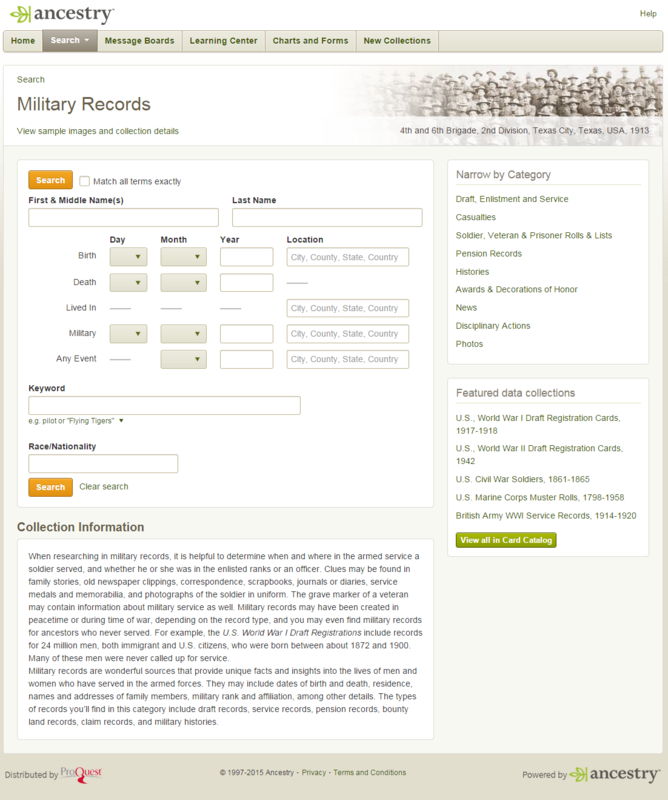 Military records are wonderful sources that provide unique facts and insights into the lives of men and women who have served in the armed forces. They may include dates of birth and death, residence, names and addresses of family members, military rank and affiliation, and other details. The types of records you’ll find in this category include draft records, service records, pension records, bounty land records, claim records, and military histories.